Log Homes are so much more than just logs. If you think about what drew you towards a log home in the beginning you will probably find that it wasn’t just the log walls that captured all of your attention. Most likely there are a number of other features that makes a log home so appealing to you. Log home construction costs, of course, include the logs, but let’s explore a common list of ingredients that go into fleshing out a log home budget and where it might be better to focus your funds. Like it or not, every log home builder needs the owners to look carefully at a budget and a list of priorities for their new log cabin. The two main areas an owner needs to focus on are items which cannot be changed after a home is built and finish materials that can be changed after a home is completed. The WOW factor of a log home is usually captured by the logs themselves, cathedral ceilings, exposed beams, log staircase and railing, log timbers and floor joists, and a stone fireplace are all integral parts of many log homes. As a homeowner, did you know that you have the choice of which of these features you put into your log home? The first step in building your log home budget are choosing what is important to you in two different areas: the first area is structural parts of the home that you really want to put your money towards. And the second area is items in the house that you have the flexibility to change later. You can always go back and put in granite counter tops a few years after you build your log home. But you cannot go back a few years later and put in an exposed beam log roof system or make the logs a larger diameter. 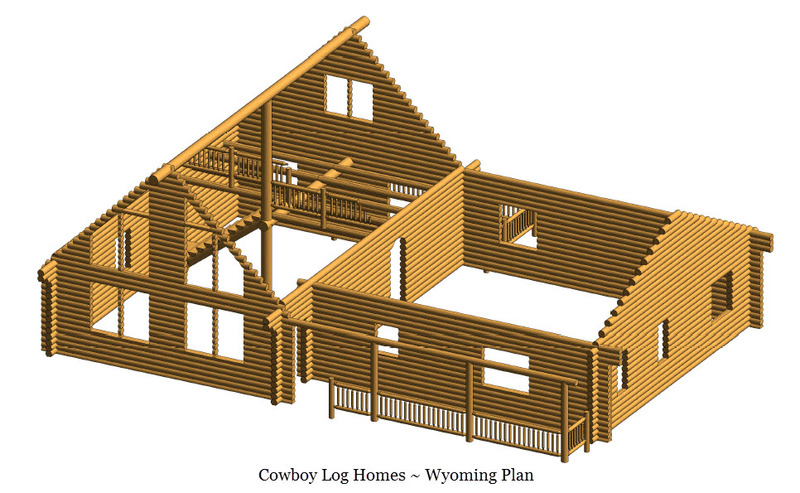 Choose which structural log home elements are important to you. Is it the high cathedral ceilings that are lined with tongue and groove pine or cedar? What about a big stone fireplace? Is that on your “I have to have it” list? Can you take or leave the log staircase? What about the logs themselves? Are you satisfied with a log wall that is 8 inches thick or do you long for the 15 inch diameter hand peeled logs? You cannot go back and make the logs bigger or add that fireplace, so whichever features you know you want for sure, put those at the top of your budget. Things that can wait. While we all like to have our new log home finished out just the way we see it in our mind’s eye, sometimes our finances dictate that we have to make choices and prioritize. Well, a kitchen can have standard cabinets installed and then custom ones built a few years later. Flooring, lighting fixtures, appliances, interior doors, and closet shelving can all be upgraded at a later date. And all of these items above impact the final turnkey cost. And lastly, you as the owner, need to carefully consider where in your life cycle you are. If you can’t deal with the possibility of making any upgrades to your new log home after the initial construction is completed, then you need to factor that into your plans. Some owners choose to add some of the integral parts of the home, such as a larger diameter log, high cathedral ceilings, and exposed log roof beams while not going with a stone fireplace. Other times owners choose hickory cabinets off the shelf at Lowe’s or Home Depot but go ahead and spring for the $8,000 worth of quartz counter tops. In any log home project be sure to look carefully through your list of materials that come with your log home package. Be knowledgeable about what is included and not. Some companies provide a very low log shell price. But when you really begin to pull the pricing apart you realize that it only is the four exterior log walls included. Our log shell pricing typically includes the exterior log walls, log support posts, log floor joists to support a loft (if included in the plan), log roof system, and log support posts and header beams for any covered porches. The interior log staircase and railing is usually priced as an optional upgrade. 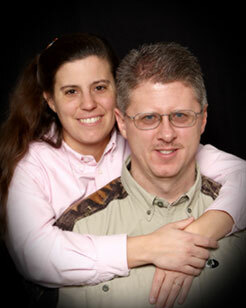 So as you build your budget that you will build your future log home from, be sure to set priorities. Look carefully at what the log package and your log home builder include in the contracts. Consider carefully what items you can’t live without. Be flexible on your finish materials. Stick within your budget from day 1. Don’t fall into the trap of thinking you can build your new home for a lot less than the log home company and builder are telling you it will cost. And don’t ignore the fact that some items, like a counter top, can be upgraded at a later date. 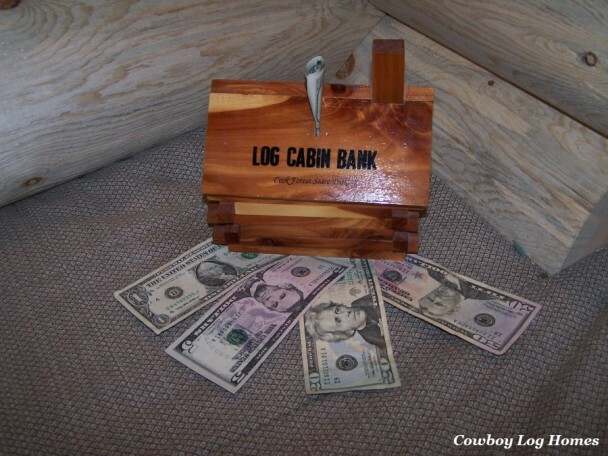 Building a log cabin on a budget is possible but not unless an owner sets that as the goal.